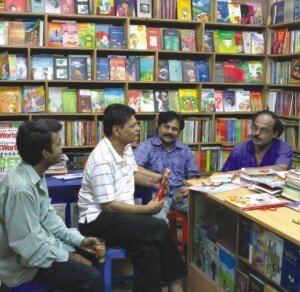 Beginning its journey roughly in the 1990s, Aziz Super Market turned out to be the centre of all creative activities, drawing in most of the up and coming writers, filmmakers, lyricists, singers and theatre activists. The place, which once acted as the moral and intellectual genesis of all radical thoughts in arts and literature, is now changing its face. With more and more boutique houses taking over, the prospect of an ever-expanding book market is on the wane.